Good morning, y'all! I'm having a great time here in Atlanta at GayRomLit, and hope to have pictures for you soon. Also attending GRL is a good friend that I met back when we shared a publishing date. I'm very pleased to have Michael Rupured on the site again. Thank you, Michael, for joining us. The blog is yours! 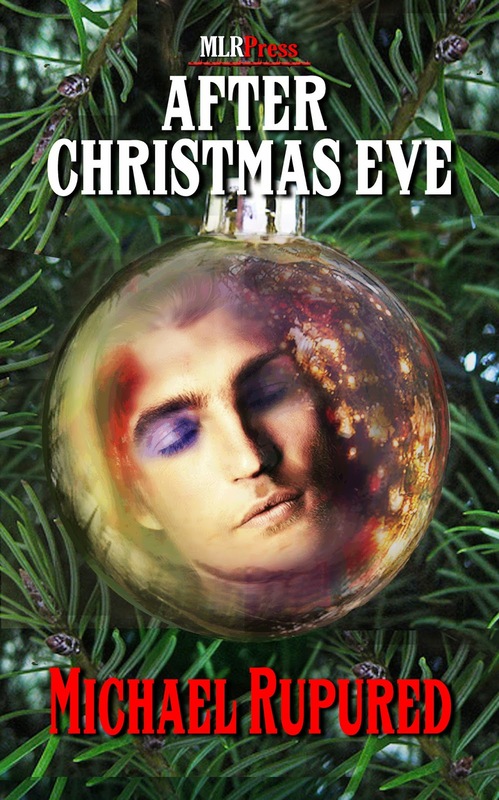 Thanks so much, Eden, for having me back to your lovely blog to talk about After Christmas Eve, my new release from MLR Press. It’s nice to visit with you and your readers again. My first novel came out the same day as Naked Tails. I wouldn’t say we’ve been joined at the hip ever since, but I certainly count Eden among my inner circle of writer pals. Besides, we’re practically neighbors! To celebrate the release of my second novel, I’m giving away 10 copies (ebooks) through an 11-stop blog hop. To enter, comment before midnight, October 25, 2013 on this post (#4 in the hop) or any of my posts on the eleven participating blogs. Be sure to include an email address. Becoming a published author is, hands down, the coolest thing I’ve ever done. The December 2012 release of my first novel kept me on Cloud Nine for months. 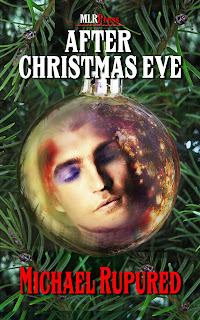 With the October 11 release of After Christmas Eve by MLR Press, I’m happy to report that the excitement hasn’t diminished one iota. Publishing my first novel was educational. Writing After Christmas Eve and taking it through the process allowed me to put into practice what I learned about writing and the publishing process the first go around. I’m grateful to my editor, Christie, and everyone at MLR Press for all the tender loving care. Philip Potter plays an important supporting role in my first novel, Until Thanksgiving. Readers loved him. Me too, so much so I made him the main character in After Christmas Eve, a prequel, set thirty years earlier in 1966. His story came with quite a few surprises, even to me. *This is the fourth of eleven stops on the After Christmas Eve Blog Hop. Excerpts appear in serial form along the hop, beginning with my post at Shira Anthony's. Philip watched him fill line after line with a feathery script that was without a doubt the most beautiful penmanship he’d ever seen. He cleared his throat to get the boy’s attention. No luck. The pen flew across the page of the spiral notebook so fast, Philip expected to see smoke. He cleared his throat again, adding a little cough for good measure. The game broke up in a clamor of falling chairs and bouncing marbles as the young men rushed to grab a gift from the bag. Philip stood back, enjoying the excited ‘ooohs’ and ‘ahhs’ the radios elicited from them. Yes, Philip thought. This is shaping up to be the best Christmas ever. Continued on 10/17 on Andrew Grey's site. Ohh, this has really tugged at my heart. Looking forward to the next instalment. Hope you and Eden are having a blast at GRL. I wonder what those parents are thinking too. Daniel sounds like a good kid - I'm hoping he doesn't end up being the murdered prostitute. Yes, as your #1 fan I am loving the excerpts! Great way to let newcomers get a feel for the book! Wish others would do that! Also love the blog hop because I get to meet new authors too!!! I couldn't ask for a better #1 fan. Thanks for supporting everything I do! Thanks again Michael, enjoying these early sections! You're very welcome, Suze. Thanks for hopping along. Really glad you're enjoying the excerpts. Sounds great. Thanks for the excerpts. You're very welcome...and thank you! Oh, I just want to give Daniel a hug! Philip is such a sweetie. Thanks, Ashley! Philip is one of my all-time favorites too. But you'll meet a couple later in this story I like almost as much. Great excerpt!!! Please count me in. Thanks!